Working out of Sparta, Tennessee, Miller’s Casework commonly helps the people of Collierville, TN with their commercial cabinet needs. 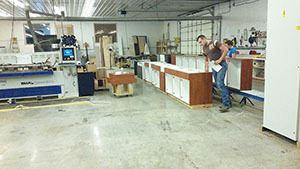 We provide clients with a free project quote on a new set of commercial cabinets. 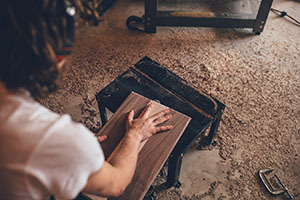 With our team of seasoned woodworkers and our blend of old-world craftsmanship with new, innovative technology, we promise to get you the best cabinets around. Please give us a call today at (931) 739-9292 to find out more. Custom Commercial Cabinets In & Around Tennessee! Here at Miller’s Casework, we pledge to do our best to get you the exact cabinets that you have in mind. We make this easy for you through a convenient spread of color and style options that you can easily browse through. Whether these cabinets are for your home or business, we are confident in our ability to design a cabinet that can suit the style of any room. Of course, when it comes to building a beautiful cabinet, details are everything. At Miller’s Casework, we’re know for our detailed workmanship and our ability to make precise cabinet pieces that are free from any errors. When you go with us, you’ll receive personalized attention and high-grade craftsmanship. The proud owner of Miller’s Casework, Albert Miller, is from a family that is well-versed in traditional wood crafting. We use the beauty and technique of these old methods and add in modern day technology to create the perfect products. Whatever way you want the job to get done, we do our absolute best to help. Many of our clients hear about us via word of mouth which shows the type of reputation we have earned. 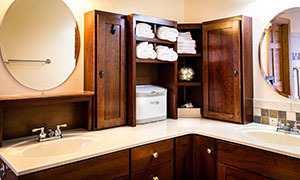 In addition to our premium cabinetry, we also provide custom closet services. 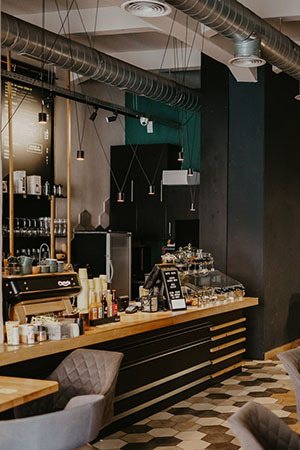 Whether you hire us for new commercial cabinets or a functional and well-designed closet space, you’ll get your money’s worth from the skilled and knowledgeable craftsmen at Miller’s Casework. 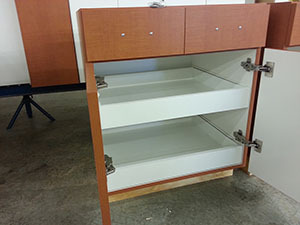 If you’re in Collierville, TN, Miller’s Casework has you covered when it comes to commercial cabinets. 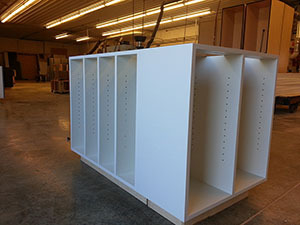 From the initial design process to the actual crafting of the cabinets, our team is professional and easy to work with. To find out more about our services or to get a free quote, give us a call at (931) 739-9292. If you have any experience dealing with different cabinet manufacturers, you know that they are not all the same. Here at Miller’s Casework, we do our best to stand out from the other casework companies near Collierville, TN with exceptional customer service, impeccable craftsmanship, and great prices. From the design process to installing the final product, we make it easy on clients every step of the way. To get the top cabinet manufacturer around, give us a call at 931-739-9292. 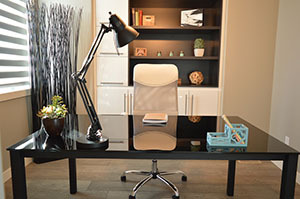 We offer a full-range of residential and commercial cabinet options to nearby clients. Our HQ is in Sparta, Tennessee so we are in close proximity to the people that we serve. 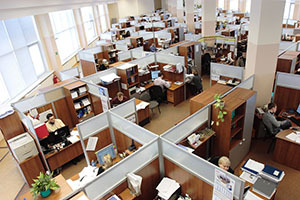 At Miller’s Casework, the client always comes first. We are a family-owned company that offers a unique marriage between old world craftsmanship and modern, cutting-edge technology. While we believe that many modern-day cabinet manufacturers are missing the touch of traditional woodworking techniques, we also recognize that contemporary technology can help churn out custom cabinets that are detailed and completely mistake-free. That’s why we use what we believe is the perfect blend between them. Whatever cabinets you have in mind, trust us to get the job done right. 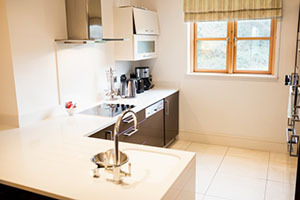 Miller’s Casework designs and crafts European-style frameless cabinets and much more. We offer a range of colors, materials, and textures for you to choose from. We have these options in a convenient and easy-to-browse display for you to look over. We’re always ready to offer expert advice to clients! For one of a kind cabinetry, look no further than Miller’s Casework. We also offer plenty of other design-and-build services. This includes gym lockers, closets, and other types of custom storage solutions. We take on projects of all sizes and bring our methodical approach to each job! 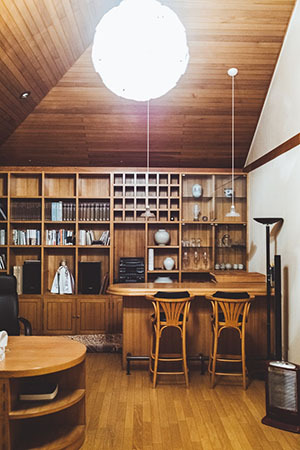 If you’re in Collierville, TN and you are trying to find a trustworthy and talented cabinet manufacturer, Miller’s Casework is the top choice. We have built a great reputation across the South. You can count on us for beautiful custom cabinets, great prices, and timely project completion. To get a free project quote, call us today at 931-739-9292. Miller’s Casework is widely recognized as one of the best manufacturers and suppliers of frameless cabinets in the state of Tennessee. We specialize in bringing custom, contemporary cabinets to a wide variety of industries and applications – from your home’s remodeled kitchen to the storage spaces of commercial institutions like hospitals and schools. We at Miller’s pride ourselves on our dedication to creating products that are beautiful, innovative, and functional. Our employees and equipment are top of the line, allowing us to create custom products to meet your every need. For sturdy construction and unparalleled customer care, call us today at (931) 739-9292. 1) Traditional cabinets include a 1-½ inch frame that tops the front of the cabinet, the side facing the user. This frame adds dimension to the front door and provides a place for cabinet doors to be secured. They often include a center stile between two door fronts. 2) Frameless cabinets are designed to maximize usable space. They do not include this face frame, offering easier access to the cabinet space and more space, in general. Flat door and drawer fronts provide a sleek, contemporary look. 1) We begin by selecting the color and finish you desire. 2) We then apply the selected veneer to your cabinet material of choice: high-pressure decorative laminate (HPDL) or melamine. 3) Finally, we bond the veneer to the cabinet by applying intensive heat and pressure, resulting in a product that is flawless, durable, and smooth. At Miller’s Casework, every cabinet is engineered with the utmost care and precision, from start to finish, providing you with the most current, on-trend styles, colors, and looks. 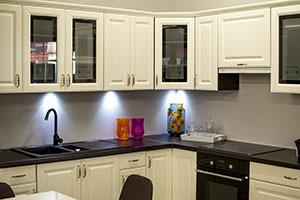 Cabinets can be further customized with your choice of hinges and pulls. Miller’s Casework serves the town of Smyrna, TN, and the surrounding communities. We are the best at what we do. If you’re looking for family-owned, made-in-the-USA sturdy frameless cabinetry and personalized care, call us today at (931) 739-9292 and get started! If you’re looking for the best custom cabinet manufacturer in Smyrna, Tennessee, or the surrounding areas, look no further than local company, Miller’s Casework. We are Tennessee’s #1 choice for commercial cabinets, with beautiful, old world artisanship, and sturdy, modern technology and manufacturing processes. 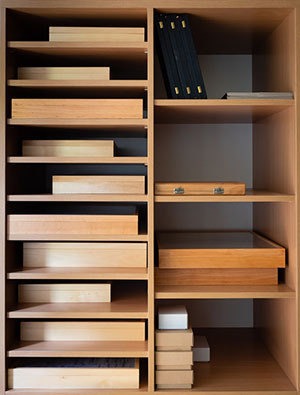 At Miller’s Casework, we specialize in customizable frameless cabinetry for all your storage needs. Our clients rave about our superior customer service and carefully fashioned products. Give us a call today to find out more of what we offer – (931) 739-9292. 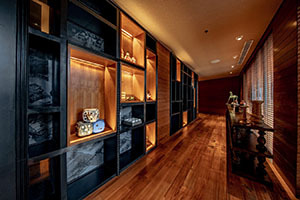 Cabinets can be ordered in High Pressure Decorative Laminate or Melamine. HPDL cabinets are available in dozens of colors, while we have 2 primary color options for Melamine cabinets (with many more available upon request). Our nickel-plated hinges can be supplied in one of 3 designs: 120-degree, 170-degree, and heavy duty 5-knuckle. Computer design and manufacturing means you get flawless custom cabinetry that is consistent, precise, and accurate, every time. Our cabinets are suited to much more than just home spaces. 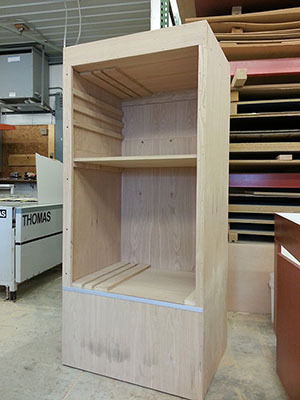 We have designed and manufactured custom frameless cabinets for many commercial clients as well. Our durable cabinets are a great option for schools, offices, medical offices, retail space, laboratories, break rooms, and so much more! As part of our commitment to providing customers with a friendly, courteous, superior experience, Miller’s Casework provides free consultations and estimates to clients. We are confident that after you meet with us, see what we have to offer, and get the special “Miller’s Casework” treatment, you won’t want to hire anyone else. Call us today to experience the Miller’s Casework difference at (931) 739-9292. Miller’s Casework is the #1 provider of beautiful, sturdy frameless custom cabinets for Kingsport, Tennessee, and the surrounding areas. At Miller’s we can take your casework and cabinetry ideas and turn them into a reality with premium cabinet design, production, and installation. As a family-owned business, Miller’s Casework is dedicated to providing our clients with the best in professional, cutting-edge custom design work and world-class customer service. Call us today at (931) 739-9292 to get started! We offer free, no-obligation, no-hassle quotes on all work. 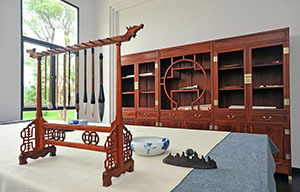 Traditional cabinets include a 1-½ inch frame that tops the front of the cabinet, the side facing the user. This frame adds dimension to the front door and provides a place for cabinet doors to be secured. 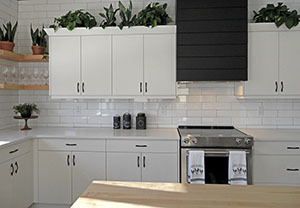 However frameless cabinets are a inspired by European design, intended to maximize the usable space available and suggest a more modern, clean, contemporary aesthetic. They do not include this face frame, thus offering fuller, more complete access to the cabinet space. Flat door and drawer fronts provide a sleek look. Frameless cabinets also don’t include a center stile between the two door fronts, making access easier. All this results in more space more functionality in your cabinets. What sets Miller’s Casework apart from other cabinet manufacturers or bulk suppliers is our commitment to detailed, old-world craftsmanship, while utilizing the latest in innovative software and machinery to bring our customers the best in clean, beautiful custom cabinets. Our family legacy of hand worked wood cabinets combines with precision technology to result in commercial cabinetry with a rich look and minimal waste. At Miller’s Casework, the sky is the limit. 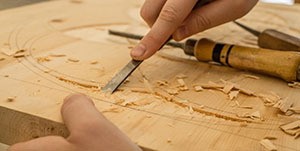 Our nesting and cutting machines allow us to fully customize your cabinets to suit your needs, from traditional rectangular cabinetry to free form shapes. Our friendly, knowledgeable experts can walk you through the possibilities and guide you in every design decision. Miller’s Casework serves the communities of Kingsport, Tennessee, and the surrounding towns of Sparta, Cookeville, Crossville, Knoxville, Morristown, Jackson, Johnson City, Sevierville, Marvyille, Cleveland, Chattanooga, Columbia, Murfreesboro, Nashville, Clarksville, Springfield, Gallatin, and Hendersonville. We specialize in bringing quality custom cabinets to a wide variety of industries and applications, from hotels and doctor’s offices to businesses, educational facilities, and athletic spaces. Call (931) 739-9292 today to get started! If you are located in Northeast Tennessee and in search of a company that can create custom commercial cabinetry that is not only sturdy and functional, but sleek and beautiful, look no further than Miller’s Casework. Based out of Sparta, Miller’s serves casework distributors and vendor in Cookeville, Crossville, Knoxville, Morristown, Kingsport, Johnson City, Sevierville, Marvyille, Cleveland (TN), Chattanooga, Columbia, Murfreesboro, Nashville, Jackson, Clarksville, Springfield, Gallatin, Hendersonville, and the surrounding communities. Give us a call today at (931) 739-9292 to discuss your commercial cabinetry needs! At Miller’s we pride ourselves on combining cutting-edge technology and innovative, modern designs with classic, old-world craftsmanship and attention to detail. We are merging the greatest of the old with the most exciting of the new to bring our clients the very best of both worlds. That means when you work with Miller’s Casework to design and manufacture your custom commercial cabinets, you get amazing products that look and feel like top-of-the-line cabinets, all at extremely competitive prices. 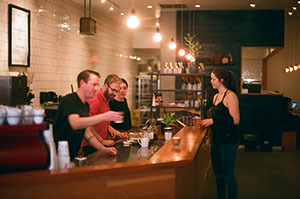 At Miller’s, customer service isn’t an afterthought – it’s everything. Call today and experience the difference working with a company who puts you first can make! Get a free quote today at (931) 739-9292.